"People don’t drink coffee on the South Side," a woman waiting for a drink at a Wicker Park coffee shop said to a barista last year. I was standing near her, waiting for the same barista to finish making my own drink. Her comment was – obviously – incorrect, but it was so bizarre of a sweeping statement that I couldn’t help but chime in. "What does that even mean?" I began. "I’m pretty certain people drink coffee all over the city, even on the South Side. It’s pretty big. You do realize that, right?" And then she said, "Well, I just mean coffee culture. It’s a pretty bourgie, white thing." Her statements signaled a lot of things (about race and class), but most significantly, our assumptions and ignorance about the different "Sides," in particular – and neighborhoods in general – in the city. People tend to self-segregate by values, or politics, or race, or income. But if our cities enabled us to interact with each other more, we might also form more of what sociologists call "bridging relationships" between demographics. Badger’s article focused on one’s social life, but these same ideas can be applied to even our simpler interactions with each other. It is easy to only know and understand and appreciate the neighborhood, the small town, the little corner of the universe in which one lives. It is easy to criticize this one woman, but assumptions and ignorance are common across different urban populations. Badger wrote, "if people are sparsely dispersed across a sprawling metropolitan area with a weak downtown core and far-flung jobs, their potential for social interaction plummets." Chicago, in the broadest of terms, is described as having a North Side, a West Side, and a South Side. We are divided by train lines that stop miles before the city actually ends. I have friends and family who never leave their "Side" of the city, who do not know the North Side like I knew as a college student, who feel no need to do so because they have already made up their mind about what it means to be "up there" versus where they are. I too make these assumptions, despite living and growing up on the West Side, living in the suburbs, and living up North upon my return to the city. I have to remember that Chicago is a large and vast city. Chicago is not about urban sprawl, but about the expanse of the former prairie. Chicago is large sidewalks and larger streets. It can feel never-ending and isolating, but many cities face this same problem. When there are so many people living within close proximity of each other, it can feel like we know no one. "Not surprisingly, if people are sparsely dispersed across a sprawling metropolitan area with a weak downtown core and far-flung jobs, their potential for social interaction plummets," Badger said. We in turn cling to what we have come to understand as our own: certain corners and bars, little pockets of nearby parks, restaurants for special occasions, and other people who look and act and perhaps even think like us, too. Our segregation means that we often do not know about, care about, or understand the neighborhoods and people in those neighborhoods that are as far north and far south as the city reaches. 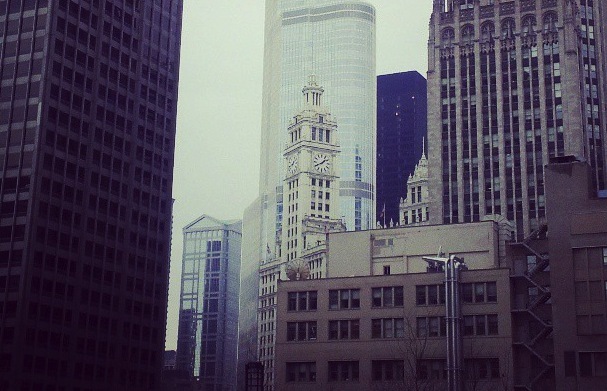 Chicago is greatly diverse, and yet we are often not connected. As such, Chicago developed into (and continues to suffer from) an existence as a hypersegregated city. 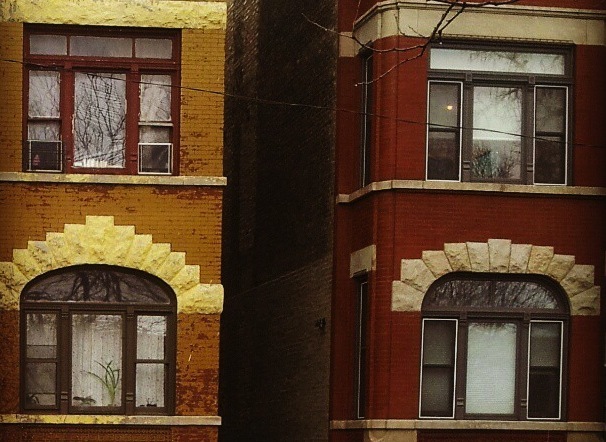 Is Chicago designed to encourage or inhibit social interactions among different types of people? Examining the ways in which we talk about numerous issues throughout the city (everything from public education and transportation to gun violence and food access), it becomes apparent that Chicago’s design, whether intentional or by the sort of self-segregation that we often subconsciously choose on our own, inhibits social interactions. This doesn’t mean that everyone suffers this fate or that we are completely ignoring the structure of social interactions within this city. One person’s ignorance can be another’s challenge to the system. Just because we know one person is misguided does not mean that we are all misguided. Back at the coffee shop, the barista, now joining the conversation, said, "I’m going to have to say no." He looked at me and shook his head. I shrugged my shoulders. "It’s coffee," he said. "It’s everywhere."